The trick seems to be in the timetable and preparation so - the potatoes were chopped and part cooked in the microwave then popped into a dry pan with lid and put on top of the combi oven to keep warm while the home made apple & onion sausage balls were cooked in a cake tin in the combi oven. As there are very few work tops in my small kitchen, a board had to be placed on top of the hob for somewhere to put the halogen oven - the turkey went breast down and the timer set for 40 minutes. Meanwhile, frozen peas and Brussel sprouts were put together in a saucepan and hot water tossed in, lid on and put on top of the combi oven (my normal plate warmer ...) The rest of the hot water was used to make the sage (and added finely diced) onion stuffing and when ready, put into a buttered dish with foil over. When the sausage balls were done, they were put on top of the oven while the stuffing went in. Time to turn the turkey on to its back and cooking bacon put on the breast and legs ... except the bacon was more like thick chunks of gammon which I was not expecting ... and the timer set for another 40 minutes. Water drained from the pea & sprout pan and more hot water added but just enough to cover and again left on top of the oven. When the timer pinged, the crispy bacon chunks were removed (a couple went in the pea & sprout pan and the rest in a bowl for later) and the turkey cooked for a further 15 minutes. Meanwhile the deep fat fryer was turned on and the bottle of wine was opened for a little Dutch courage - was this to be another disaster? Finally, the turkey was ready and looking magnificent and put on a plate to rest and the board removed from the hob. Some juices was spooned out of the halogen bowl and added to the pea & sprout pan before it was heated up on the hob. First some frozen parsnip was popped in the deep fat fryer and when cooked removed and drained on paper, in went the part cooked potato. Gravy granules went in the pea & sprout pan to thicken and finally it was time to serve dinner. Not the most conventionally cooked Christmas lunch but it turned out really well - the turkey breast was really moist, the skin crispy. The peas & sprouts were lifted out with a slotted spoon and the gravy (from the water flavoured with the veg, bacon & turkey juices) poured over the dinner. Finally a big dollop of cranberry jelly and everything washed down with the rest of the wine. So how far into feb will that turkey last? I'm at my traditional Boxing Day activity, although I didn't cook Christmas dinner. Was invited to daughter & SIL with the other grandps - but they were going to throw out the goose & duck carcass, so I brought them home. A big casserole of meat picked off the goose before boiling bines & giblets, the picking more meat off for me and cat. Still got to deal with duck. Tonight it will be the usual Boxing Day casserole. Maybe I'll get some of that ready rolled GF pastrymentioned by Hedgehugger and make everyone a Christmas pie in a few days time. 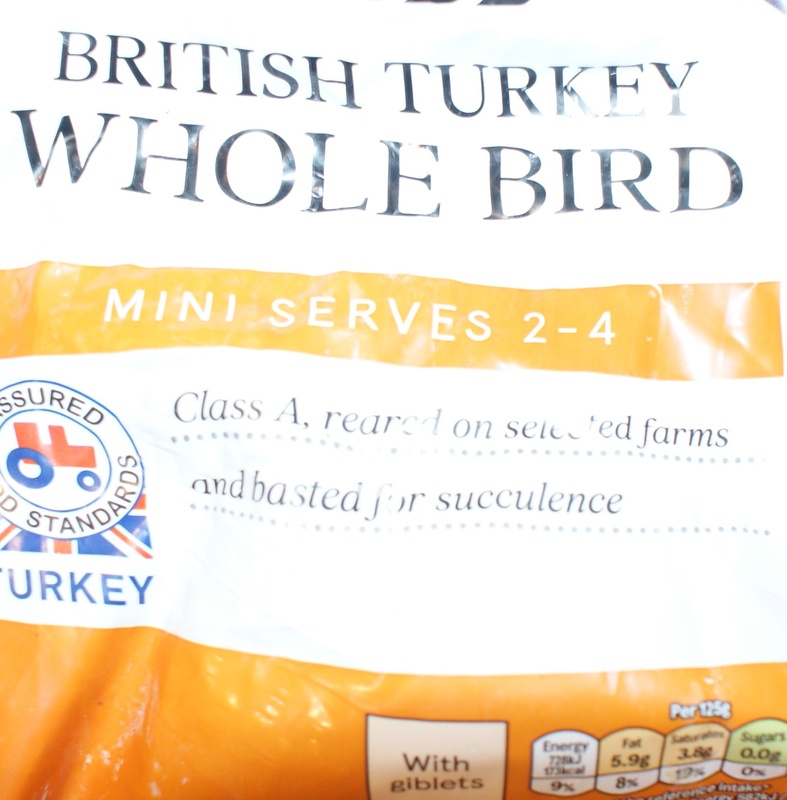 ... just out of interest though I don't know why I have to justify it, the turkey was a small bird (3-4 servings) so after tonight's supper, the rest and carcass will go into making a turkey casserole tomorrow and stretched for another day. No, you don't have to justify it, but I didn't know you could get turkeys that small. I have memories of cooking a turkey for 5 and still having loads in the freezer.